For lunches during the week I normally make myself a large salad or a tasty wrap! I personally love using Flatout Bread because large tortillas tend to fall apart on me and have more calories. For this wrap I used their Italian Herb variety because umm that’s what I typically buy! I wanted to make a wrap using my awesome basil from my garden and instead of using tomato, decided some lovely red bell pepper would take it’s place (it’s red, it works!). 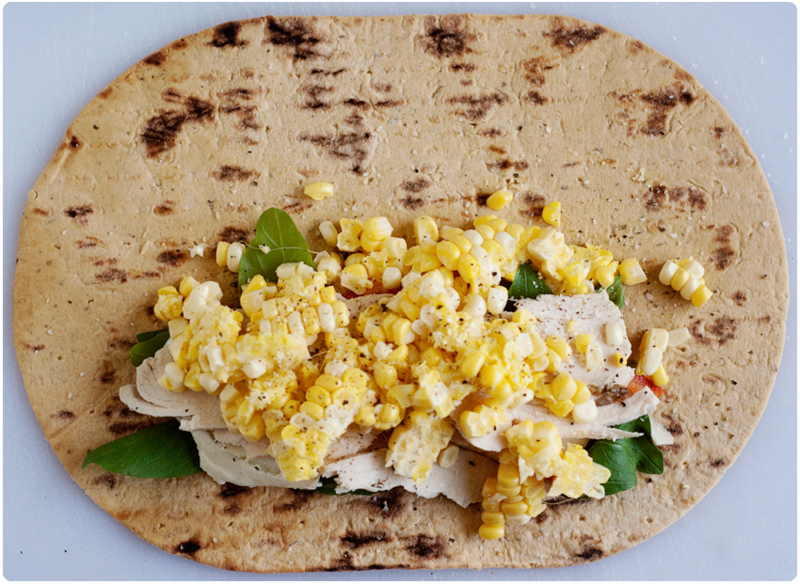 This recipe makes two wraps at 260 calories per wrap. I generally eat both wraps because I never remember breakfast these days and not much of a snacker either. Seriously, I have to say there is nothing like homegrown sweet corn! One of the perks of living in Illinois! I buy all my corn from Goebbert’s Farm! I tend to just eat it raw because it’s just that sweet. 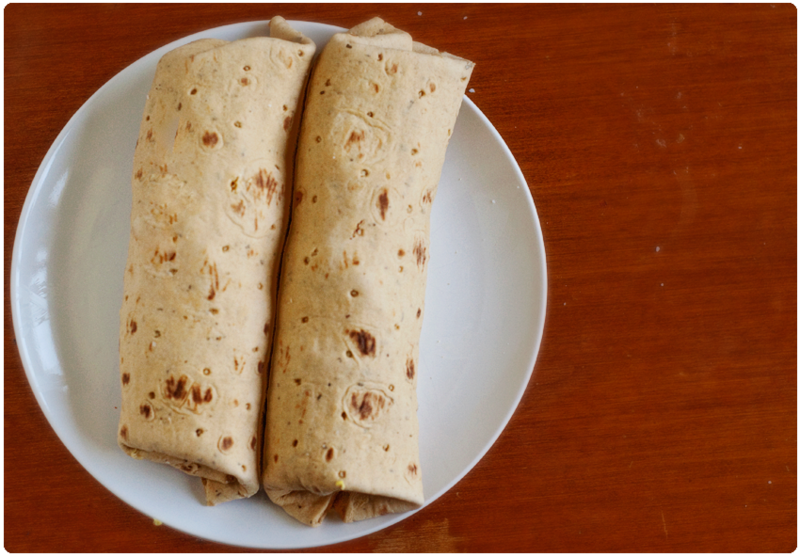 Anyway, you need to fold in the left and right side of the wrap and EVER so carefully, roll from the bottom to the top, hopefully the corn will stay in the wrap and won’t roll all over your counter! SO good and filling and PORTABLE if need be! 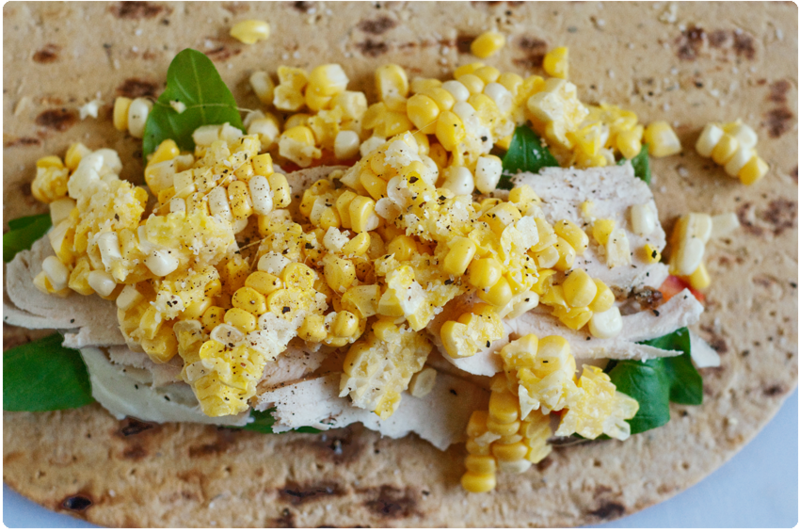 Sometimes if the corn lets me, I’ll place the wrap on my panini press to get warmed through although generally, I always use a ton of corn so I save the panini press for… panini’s. 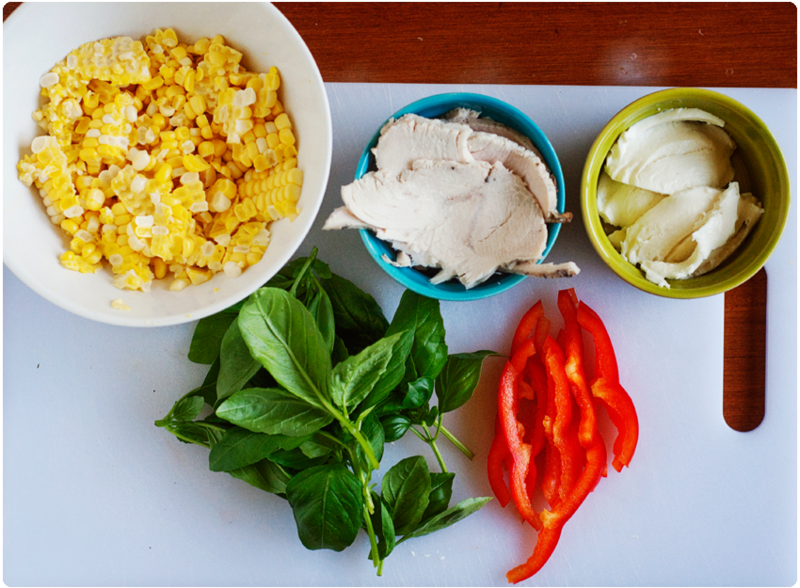 Have you tried a homemade mozzarella? I’ve never made fresh mozzarella at home and just buy the local cheeses or just the packaged kind at the grocery store. OH I bet you could! I’m not too familiar with GF products to think of one off the top of my head.